A "key" is a group of chords that sound good together. 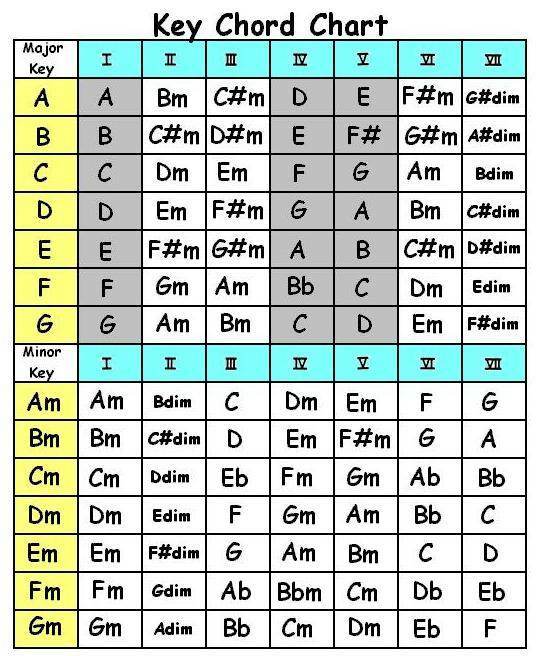 Making up songs can be as simple as picking a key from the chart, learning some or all of the chords in that key, and playing them however you feel like it. You can also substitute 6th 7th or 9th chords any time you want to, to change the sound or feel of your song. You may have noticed that I shaded the I, IV, and V chords in gray in the major keys. This is because those are the chords I love and use for playing blues.